PLD Passport Program happening now! 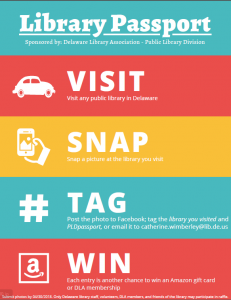 Join the Public Library Division, DLA Members, Library Staff, Volunteers, and Friends of Delaware Libraries – visit as many libraries as possible before April 30th, 2018. 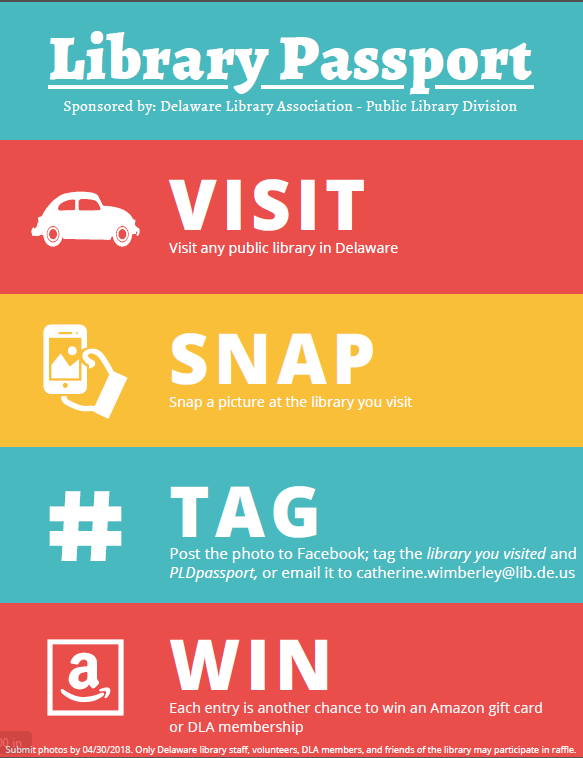 Snap a photo and tag the library you visited and use #PLDpassport for each library you visit. You can also email your photos to PLD Vice President Catherine Wimberley. Click the picture below to enlarge for more information!